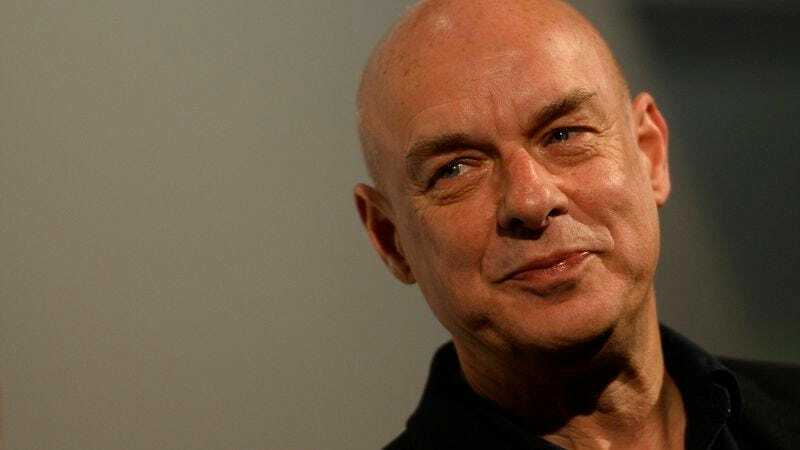 In February, electronic music and glam-rock legend Brian Eno unveiled plans for The Ship, a new record that he said would eschew the “normal underpinnings of rhythmic structure” and allow his songs to exist as bigger “sonic events.” Now Eno has delivered the first taste of the grandiose two-track album. Also called ”The Ship,” it’s a 21-minute meditation that brims with slow-building tension and hypnotic, burbling synths. The piece started as an Ambient work intended for a multichannel sound installation in Stockholm, but during the making of it I discovered that I could now sing a low C - which happens to be the root note of the piece. Getting older does have a few fringe benefits after all. From that point the work turned into an unusual kind of song … a type I’ve never made before where the vocal floats free, untethered to a rhythmic grid of any kind. You can listen to “The Ship” below, and can pre-order a copy on Eno’s website before the record releases April 29 on Warp records.